From the exciting Monster Movie GAMERA III , this is the Color version Baby Irys figure from GAMERA VERSION # 1 set by IWAKURA. Baby Irys is eating from a can of Japanese food!! These highly detailed vinyl figures all come from various Japanese Kaiju/Sci-Fi films. The figures stand approx. 3 1/2 inches tall. The pieces “snap” together. Caution: Small parts not suitable for very young children. From the exciting Toho Monster Movie Son of Godzilla! This is the PAIR of Color Kamikirus Monsters from GODZILLA VERSION # 2 by IWAKURA. This Iwakura series has been out of production since 2003. Iwakura Company is now the Cast Company. 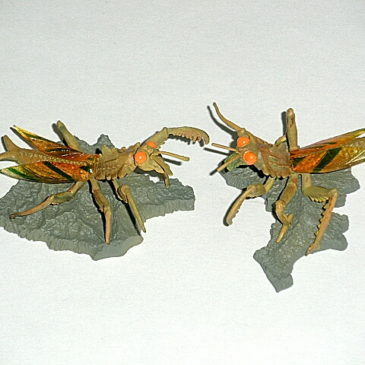 These Kamakiras aka Kamackras aka Kamakiras were in several scenes from the movie. These highly detailed vinyl figures are from Japanese Kaiju/Sci-Fi films. The figures are approx. 2 1/2 inches long. IWAKURI SPECIAL DELUXE GODZILLA SKULL # 2 DIORAMA! Made in 2005 by the Iwakura Company of Japan, this HARD TO FIND diorama consists of a SKULL approx. 3 inches long that is articulated at the jaw allowing the jaw to open or close! The head fits on a base that was used to convert his DNA into MECHAGODZILLA! 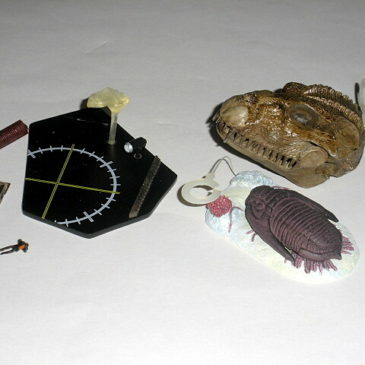 THIS DIORAMA COMES WITH A TRILOBITE! Along with the base, you get a tiny, tiny Dr. Sharazawa in a diving suit holding the oxygen destroyer! The base measures approx. 3 inches by 3 inches. The skull mounts on a post attached to the base. The skull and diorama is made of hard cast resin. THIS WAS PART OF A 10 PIECE SPECIAL DELUXE SERIES FROM IWAKURA. The skeleton depicts a scene from the Exciting Toho Movie GODZILLA VS. MECHAGODZILLA. THIS IS A VERY HARD ITEM TO FIND EVEN IN TOKYO, JAPAN! Comes in original box and packaging. CLAWMARK TOYS WARNING: NOT SUITABLE FOR VERY YOUNG CHILDREN DO TO SHARP TEETH AND VERY SMALL PARTS ! 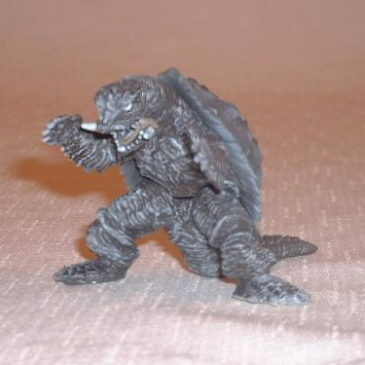 From the exciting Monster Movie GAMERA III, this is the color version “Nightmare Gamera” figure from GAMERA VERSION # 1 set by IWAKURA which has been out of production for severa years. This is the Rampaging Gamera that appeared in the Herorine’s Nightmare. The eyes a really scary dead white! These highly detailed vinyl figures all come from various Japanese Kaiju/Sci-Fi films. The figures stand approx. 3 1/2 inches tall. The pieces “snap” together. DOES NOT come with BOX. It does Come in its ORIGINAL BLISTER Pack. Caution: Small parts not suitable for very young children. From the exciting Monster Movie Godzilla vs. MechaGodzilla 1974! 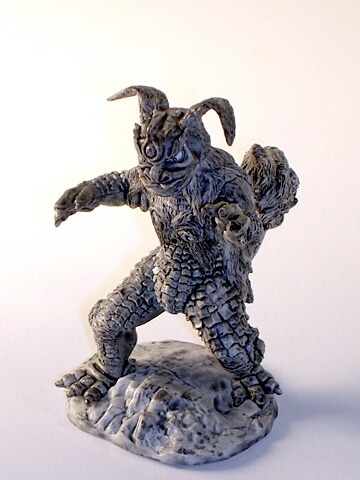 This is the Gray King Seesar from GODZILLA VERSION # 2 by IWAKURA produced in 2003. the Iwakura Company is now the Cast Company. Here is King Seesar in all his fury glory! These highly detailed vinyl figures are from Japanese Kaiju/Sci-Fi films. The figure is approx. 3 1/2 inches tall. From the exciting Monster Movie Son of Godzilla! This is the Color Kamikirus Monster from GODZILLA VERSION # 2 by IWAKURA. This Iwakura series has been out of production since 2003. Iwakura Company is now the Cast Company. Here is the scene where Kamikirus finds the Godzilla Egg! These highly detailed vinyl figures are from Japanese Kaiju/Sci-Fi films. The figure is approx. 3 inches long. From the exciting Monster Movie Yog, Monster from Space! This is the Gray Gezora aka. 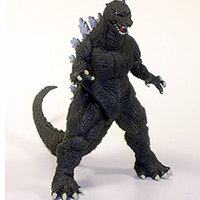 Yog from GODZILLA VERSION # 2 by IWAKURA produced in 2003. Iwakura company is now the CAST Company. Here is Gezora in all his squidly glory! These highly detailed vinyl figures are from Japanese Kaiju/Sci-Fi films. The figure is approx. 3 1/2 inches tall. WITH ORIGINAL BOX and PAPERWORK. 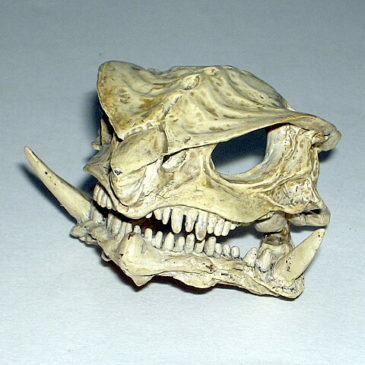 From the exciting Monster Movie GAMERA III, aka Gamera 3 this is the “BONE” version GAMERA SKULL figure from GAMERA VERSION # 1 set by IWAKURA whjich has been out of production for several years. The Iwakura Company became the Cast Company. These highly detailed vinyl figures all come from various Japanese Kaiju/Sci-Fi films. The figure is approx. 3 1/2 inches long. The pieces “snap” together. CLAWMARK TOYS CAUTION: Small parts not suitable for very young children. From the exciting Monster Movie the Godzilla vs. Biollante! 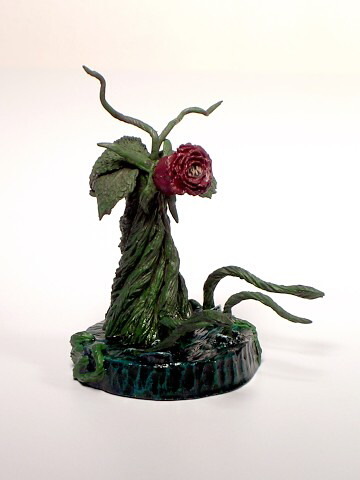 This is a beautiful little sculpt of the Rose Biollante. 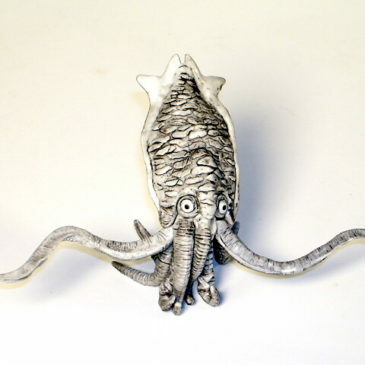 There are not many renditions of Biollante in this form. This is the Color Version of Rose Biollante from GODZILLA VERSION # 3 by IWAKURA. Rose Biollante is the kinder, gentle Biollante before it grew mean and tried to EAT Godzilla! 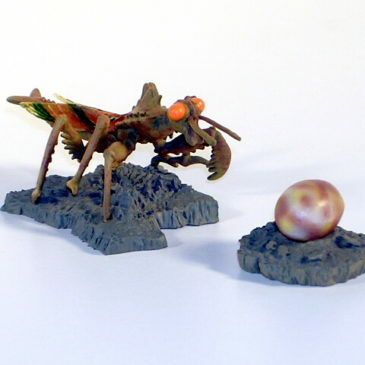 These highly detailed vinyl figures are from Japanese Kaiju/Sci-Fi films. The figure is approx. 3 1/2 inches tall. 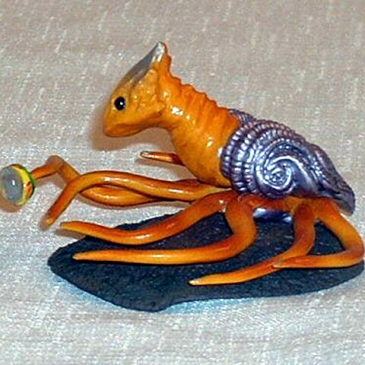 CLAWMARK TOYS WARNING; Small parts not suitable for very young children. From the exciting Monster Movie Son of Godzilla! 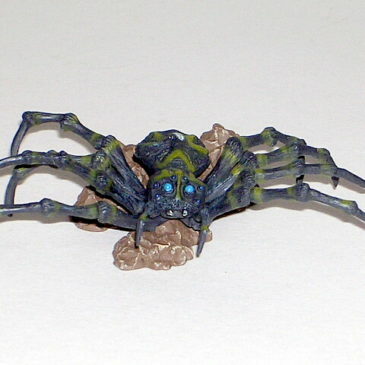 This is the COLOR VERSION of KUMANGA THE GIANT SPIDER from GODZILLA VERSION # 3 by IWAKURA. The EVIL KUMANGA is made of hard vinyl and is approx. 4 inches long. KUMANGA is sometimes known as SPIGA and he comes with his display stand. THE COLOR VERSION IS HARD TO FIND EVEN IN TOKYO! These highly detailed vinyl figures are from Japanese Kaiju/Sci-Fi films.